Browse maize suppliers by country and region. Short on time? Let maize sellers contact you. Description: White Color fine free-flowing powder free from extraneous matter Nutritional Information: ------------------------------- Energy (kj/Kcal): 1369/327 Carbohydrates - total (g-on db): 98.5 Sugar (g): 0.0 Protein (g): 0.60 Total Fat (g): 0 Saturated Fat (g): 0 Monosaturalted Fat (g): 0 Polyunsaturated Fat (g): 0 Cholesterol (mg): 0 Sodium (mg): 30.5 Potassium (mg): Applications Used For: Food: Bakery, snacks, thickening, bulking, texturizing, herbs and spices carrier, noodles, soups, chewing gum, condiments, dehydrated foods, mixes, gravies, puddings, sauces and brewing. Industrial: Textile-sizing, paper, adhesives, chemical/paints/dyes, manufacturing of ethanol/biodegradable polymers/polyols and corrugated boards. Pharma: Bulking, binding, dispersing and as an excipient. 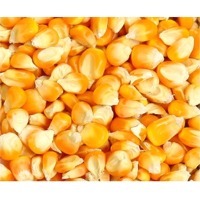 Maize also called as corn, a member of the grass family Poaceae and the third most important cereal crop in the world. Maize has long been a staple food by many people in Mexico, Central and South America, parts of Africa and various other countries. 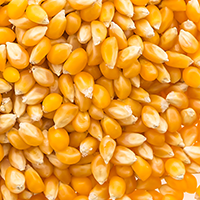 Corn has become an important ingredient in American foods through the use of cornstarch. People have long eaten sweet corn and popcorn with little processing, and other kinds after processing into flour for making cornbread, Cornflakes, "AREPAS" which is used for making "Tortillas" or a sort of porridge, Direct cooking and consumption (known as Samp in southern Africa), and other artificial foods. We are one of the leading suppliers of ingredients like Corn Grits (available in various sizes), Corn Meal and Corn Flour used in Snacks industries, Breakfast Cereals, Breweries, Bakeries, Pizzas, Confectioneries & Biscuits manufacturing Industries. 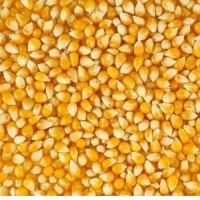 We are the supplier of raw corn, for both human consumption as well as bird, cattle/animal feeds, as livestock forage or silage for animals, to multiple range of industries. 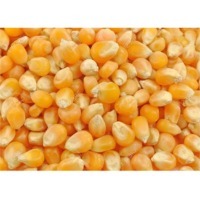 We supply both white and yellow corn varieties. Yellow corn is especially nutritious and can be used for cooking as well as eaten raw. White corn is a type of sweet corn and can be can be roasted, grilled, blanched, steamed, or pureed. 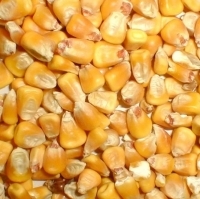 Our products - Broken Maize, Corn Grits, Corn Flour, Corn Meal Broken Maize These are the prime products from a full degerming system consisting of the largest pieces of broken maize endosperm free of husk and germ. Available in a various range of sizes from 2mm to 6mm. 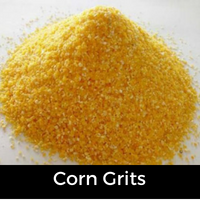 Corn Grits The coarsest of mill granulations; degermed corn grits are generated from the hardest portions of the corn & contain no chemicals preservatives and are available in various sizes. Corn Flour Corn flour is used in various food processes like baking, snack dressings and pet foods. Our corn flour combines functionality and nutritional quality in a natural way, as it contains no supplements, additives or gluten. Corn Meal This finer meal is used in the Bakery industries, Pizza Stores, Hotel industries, etc. 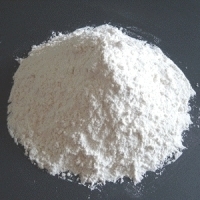 Dusting Meal-Medium-grade meal are used in hearth breads, pizzas, dry mixes, bread or muffin coatings and bakery blends. Our products are used as raw materials by leading FMCG industries including manufacturers of snacks, biscuits, breweries etc. They are used widely across the world to provide a wholesome quality finished food to make a better life to millions of people around the globe. 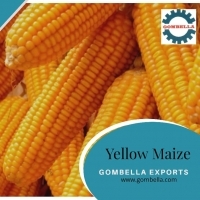 We furnish superior quality maize, available in different qualities, sub-categorized in Yellow & White maize. Maize also called as corn, a member of the grass family Poaceae and the third most important cereal crop in the world. Maize has long been a staple food by many people in Mexico, Central and South America, parts of Africa and various other countries. 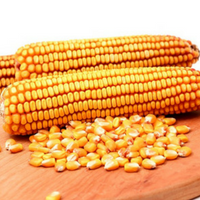 Corn has become an important ingredient in American foods through the use of cornstarch. People have long eaten sweet corn and popcorn with little processing, and other kinds after processing into flour for making cornbread, Cornflakes, "AREPAS" which is used for making "Tortillas" or a sort of porridge, Direct cooking and consumption (known as Samp in southern Africa), and other artificial foods. We are one of the leading suppliers of ingredients like Corn Grits (available in various sizes), Corn Meal and Corn Flour used in Snacks industries, Breakfast Cereals, Breweries, Bakeries, Pizzas, Confectioneries & Biscuits manufacturing Industries. 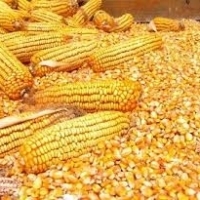 We are the supplier of raw corn, for both human consumption as well as bird, cattle/animal feeds, as livestock forage or silage for animals, to multiple range of industries. 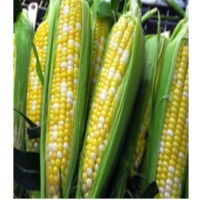 We supply both white and yellow corn varieties. 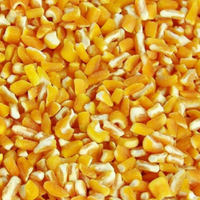 Yellow corn is especially nutritious and can be used for cooking as well as eaten raw. White corn is a type of sweet corn and can be can be roasted, grilled, blanched, steamed, or pureed. 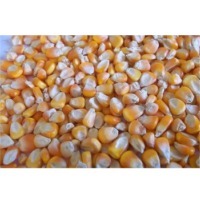 Our products - Broken Maize, Corn Grits, Corn Flour, Corn Meal Maize Broken These are the prime products from a full degerming system consisting of the largest pieces of broken maize endosperm free of husk and germ. Available in a various range of sizes from 2mm to 6mm. Maize also called as corn, a member of the grass family Poaceae and the third most important cereal crop in the world. Maize has long been a staple food by many people in Mexico, Central and South America, parts of Africa and various other countries. 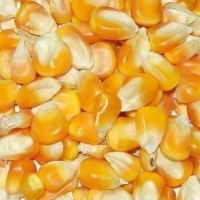 Corn has become an important ingredient in American foods through the use of cornstarch. People have long eaten sweet corn and popcorn with little processing, and other kinds after processing into flour for making cornbread, Cornflakes, "AREPAS" which is used for making "Tortillas" or a sort of porridge, Direct cooking and consumption (known as Samp in southern Africa), and other artificial foods. We are one of the leading suppliers of ingredients like Corn Grits (available in various sizes), Corn Meal and Corn Flour used in Snacks industries, Breakfast Cereals, Breweries, Bakeries, Pizzas, Confectioneries & Biscuits manufacturing Industries. 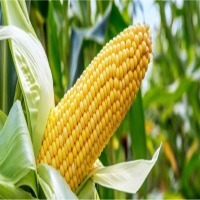 We are the supplier of raw corn, for both human consumption as well as bird, cattle/animal feeds, as livestock forage or silage for animals, to multiple range of industries. 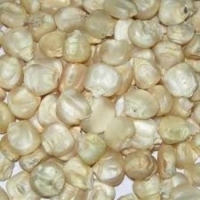 We supply both white and yellow corn varieties. 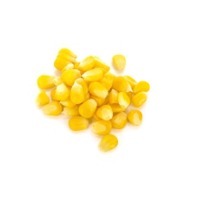 Yellow corn is especially nutritious and can be used for cooking as well as eaten raw. White corn is a type of sweet corn and can be can be roasted, grilled, blanched, steamed, or pureed. 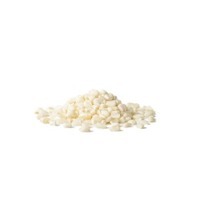 Our products - Broken Maize, Corn Grits, Corn Flour, Corn Meal Corn Grits The coarsest of mill granulations; degermed corn grits are generated from the hardest portions of the corn & contain no chemicals preservatives and are available in various sizes. Commonly known as peanut, it is a legume crop known for the edible seeds. Consumed in over 50 countries, India has a large base of groundnut cultivation- around 31 million hectares. Due to this extensive cultivation, we are able to supply large quantities of high quality peanuts all over the world. They are sued in several dishes including sweet dishes like pies, cookies, cakes, doughnuts etc. 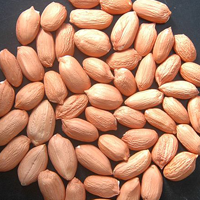 We supply different varieties of groundnuts based on their count and size. We also provide blanched and split variety of peanuts. Health benefits of eating corn, such as improved digestive function, and prevent constipation,vitaminC content can boost the immune system. Antioxidants-lutein and zeaxanthin, will also help to eliminate free radicals in the body ,boost bone mineral density ,lowering blood pressure and reducing your risk of atherosclerosis, heart attacks, and strokes.